CodeTwo Backup version 1.5 released! 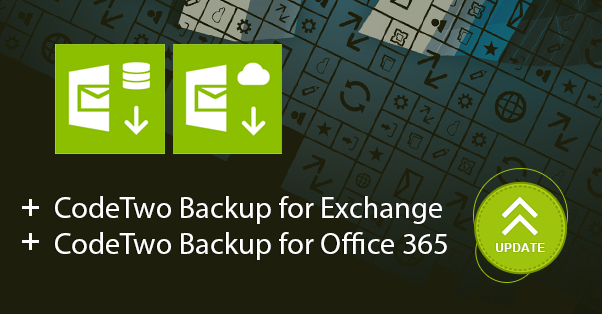 We have just released updates to our Office 365 and Exchange mailbox backup solutions – CodeTwo Backup for Office 365 and CodeTwo Backup for Exchange. We believe the new way of data presentation allows for more detailed and accurate analysis and job management. How to download CodeTwo Backup version 1.5? This update is free of charge for all license holders. 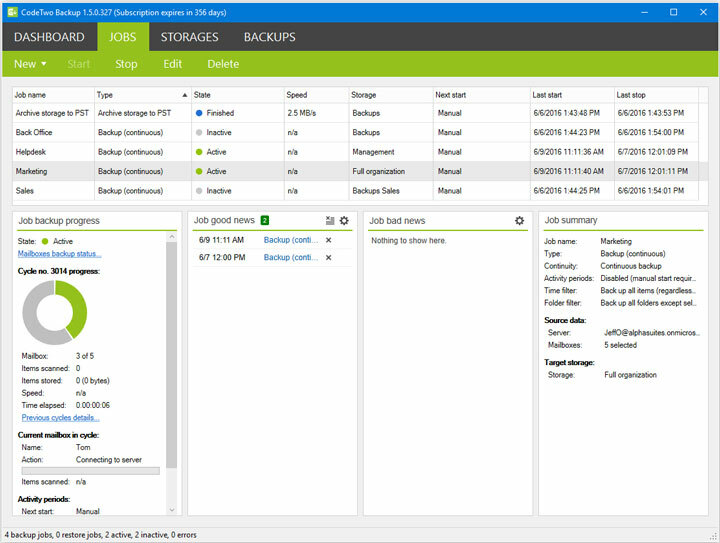 For more information about this update, visit the version history page of CodeTwo Backup for Exchange and CodeTwo Backup for Office 365. If you have any question, feel free to contact us – we are available 24 hours a day, from Monday to Friday.